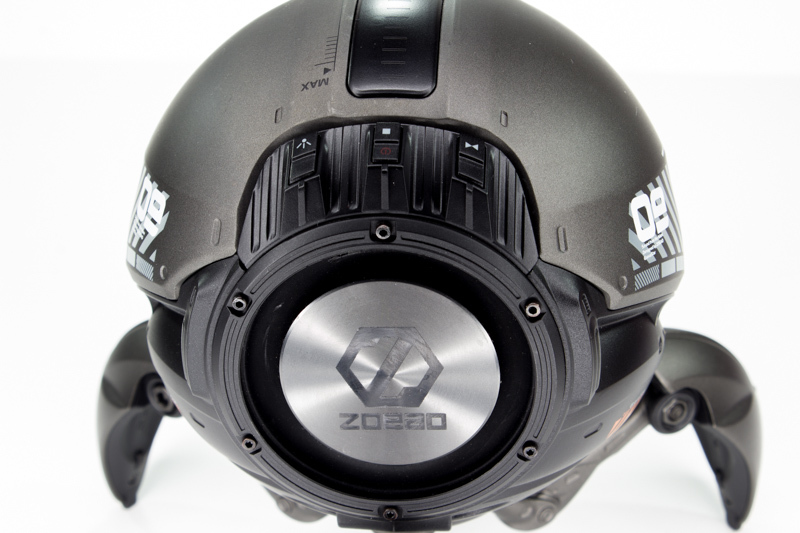 The GravaStar from Zoeao is the weirdest Bluetooth speaker I’ve reviewed, but that’s a good thing. It reminds me of a simpler time – the 1980s – when the characters on TV were often based on popular toys, and not the other way around. Plus, thanks to its Harmon Kardon guts, it sounds great. I’m of the mind that, more often than not, when a company goes out of its way to give its products a radical aesthetic, it’s compensating for a lack of quality or technology somewhere. Luckily, with the GravaStar, this is not the case. If you judge it on looks alone, it’s a take-it-or-leave-it prospect. You either like the sci-fi eye-bot look or you don’t. I ended up liking its appearance a lot. Once I got my hands on it, felt its impressive heft and the solid construction of its metal casing, I realized this wasn’t a gimmick or novelty. 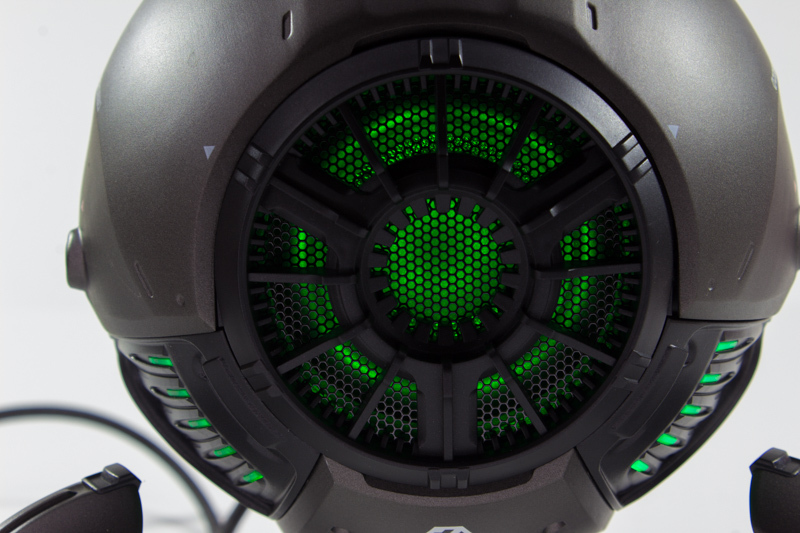 It’s obvious the team that designed this speaker put some love into it. The GravaStar is a conversation piece for more than just its looks. 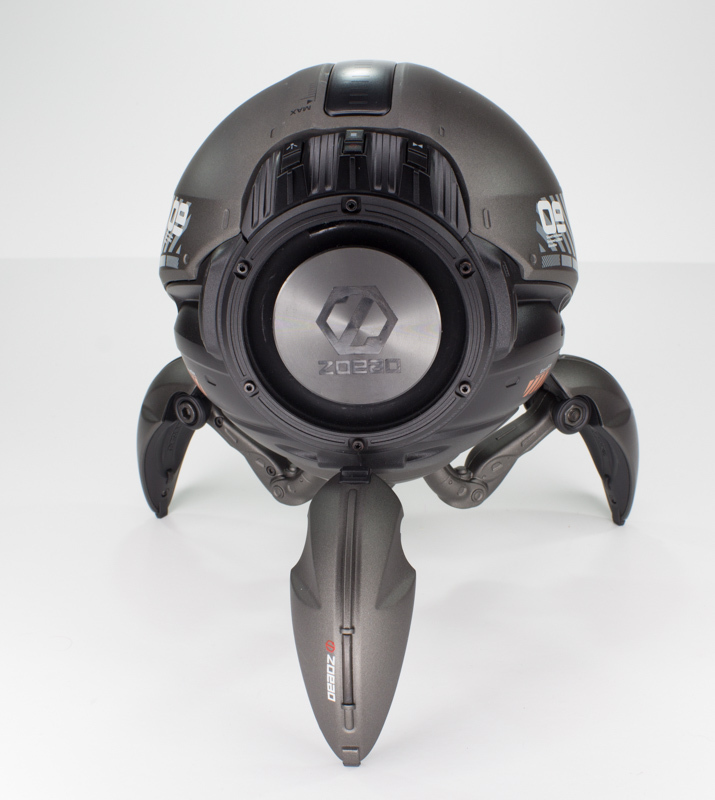 It’s a loud and proud speaker sporting a 2.75-inch, 20W full-range speaker and bass driver. This thing gets pretty loud, has plenty of thump, and comes surprisingly close to pulling off a decent 360-degree sound impression. I won’t dwell on the sound too much. You can get better audio for about the same price if you shop around for a boring, traditional-looking Bluetooth speaker. But, the GravaStar is no slouch. I loved how big the sound coming out of it feels, it’ll easily fill up a decent-sized living room with music during your noisiest gatherings. And best of all it supports True Wireless Stereo (TWS). GravaStar speakers have one-button pairing for TWS, and power on in pairing mode to make them one of the simpler Bluetooth devices to connect. They can also be connected to your device via an included audio cable, but TWS via Bluetooth works best for stereo. There’s a lot to like about the GravaStar. The touch-strip volume control on its top functions perfectly and adds a touch of interactivity – I liked how I never struggled to find it. And the folding legs give you a slight measure of adjustability. Perhaps my favorite feature is the 2,600 mAh battery (charged via USB-C). It’s supposed to last up to 30 hours, and that seems pretty close to accurate. I got 20 hours between charges with a fair amount of use. What I didn’t like was the single-color LED lights. Luckily for me I liked the green glow, but the ability to change colors would be nice. 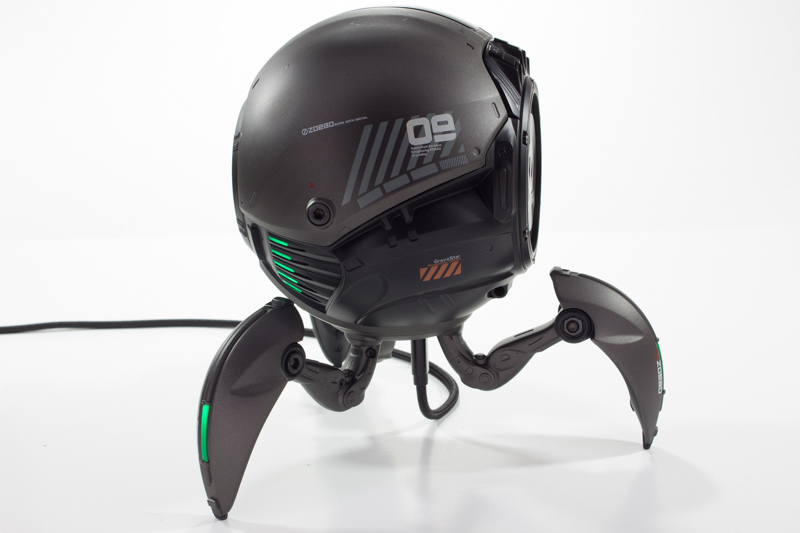 Also, I wish there was a way to remove its legs or give it a smaller footprint. All things considered, the GravaStar is a surprisingly good Bluetooth speaker hiding inside of a strange little shell that literally inspired a comic book. 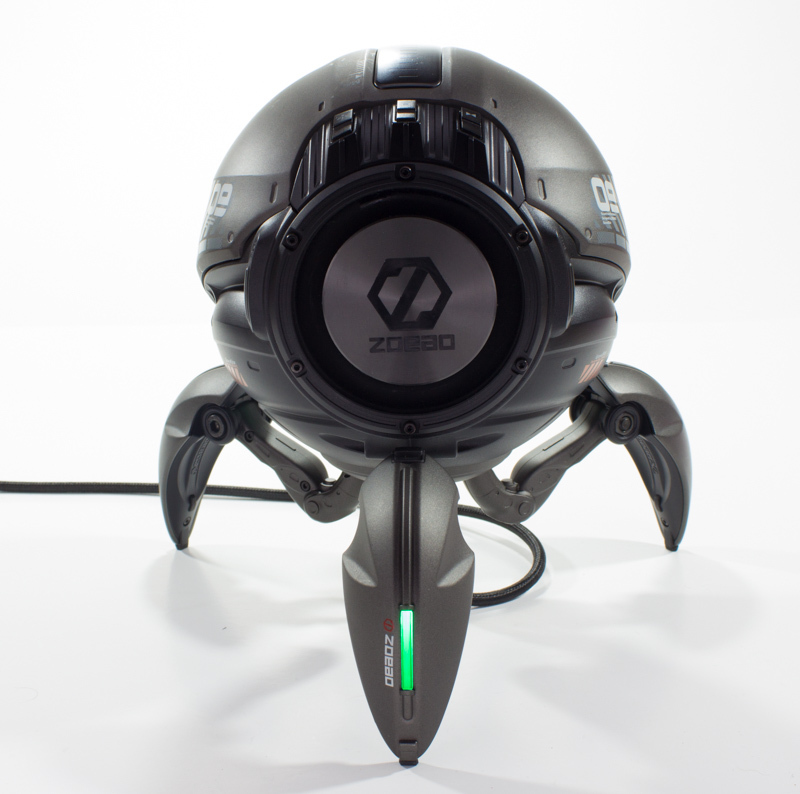 It’s currently available on Indiegogo for $129 — the super early bird discount — with shipping to begin on March 30th. It’ll eventually retail for $249.